The authentic MAYAR Akkawi cheese (called also Akawi or Ackawi) is the real Palestinian cheese denoting Aka, the historical region where it originated. 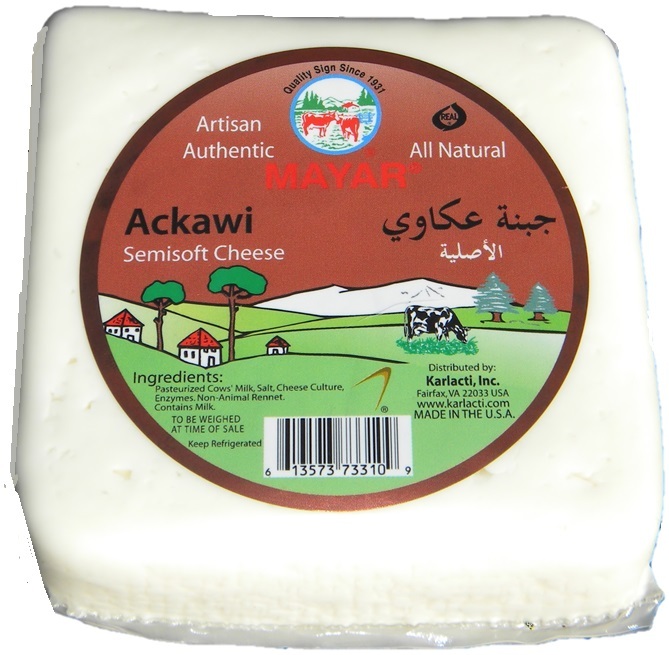 MAYAR Akkawi is a soft unripened white cheese. MAYAR authentic Akkawi is suitable as a table cheese, in sandwiches, or paired with fruits. Middle Eastern Specialty cheese dairy products company, Karlacti, Inc. is rooted in its Armenian Middle Eastern food culture authentic historic heritage and 84 years of pioneering history of its licensor, a world famous Mideastern cheese and dairy products company.